Solid hardwood floors are an excellent addition to any home. Hardwood floors look beautiful. They are easy to clean and they can last forever with the proper care and periodical maintenance. 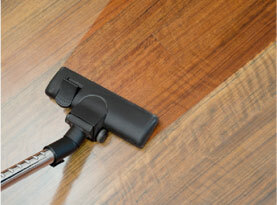 When solid hardwood floors look worn down, and full scratches they can be repaired. 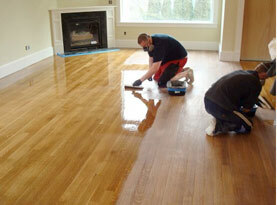 Mike’s Custom Flooring will explain the steps of caring for wood floors and how they are refinished and repaired. When seeking out refinishing or hardwood floor repairs you will always begin with seeking a professional contractor that provides hardwood repair and refinishing services. During a consultation, often a contractor will come to your home. They will assess the damage and the general cost of the repair and refinishing. 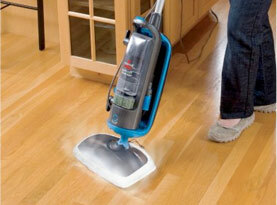 During their inspection, they may look for low spots in the floor which causes the floor to squeak. 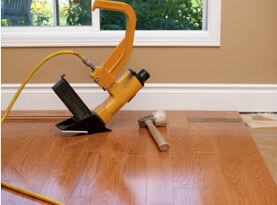 Squeaky floors can be repaired in a number of ways. It will mostly depend on the cause or problem that caused the squeaking. In most cases when wood floors need repair or refinishing, often they are sanded down smooth and then refinished. During the consultation the contractor may ask what color you want on the wood. You can keep the same color or use this time to change the color of the wood. When hardwood floors need to be refinished, expect to remove all of the furniture and other items from off the floor. The entire floor will be stripped of the old sealer or stain first. Depending on your contractor the sanding can be done in a number of ways. The most preferred method is Dustless Sanding as it helps keep down the sawdust from the sanding and provides quicker results. The floors will then be sanded down. During the sanding stage the wood will be smoothed flat, scratches will be removed as well as indents or other flaws in the floor. The floor surface will be cleaned and prepped for the staining. If any other damages are present such as gouges, holes, cupping or if crowning is present, it will be repaired before the stain is applied. The extent of additional repairs will depend on the wood’s condition. Some floor boards may require the need to be replaced or repaired. After the floor has been repaired, sanded and then cleaned, the final step is to stain the wood. The stain provides the wood with a rich color and help protects the wood from moisture, temperature changes, and physical damages. Depending on the stain’s quality, it will vary on how many coats will be needed. Most contractors will put three coats on the wood. However the number of coats can vary. Each coat will need to be completely dry before applying the next coat so the staining process may take some time to complete. However, it will ensure quality results. Solid wood floors can often be refinished three to four times in its life. Most refinishes only take place about every 10 to 15 years depending on the care of the floor. However, when floors do need to be refinished it is recommended that you seek professional assistance. When your solid hardwood floors need repair, refinishing or you are seeking professional installation, contact Mike’s Custom Flooring and schedule our services today.